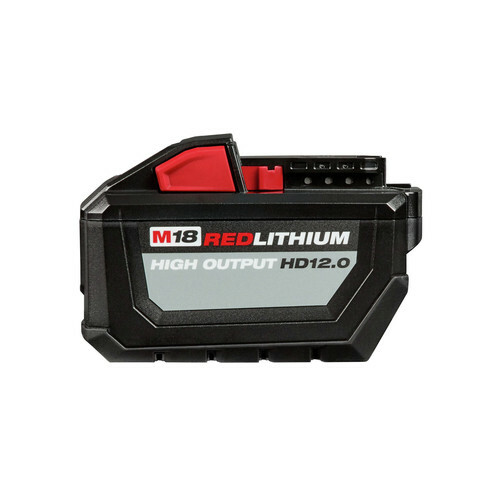 *Add a qualifying Milwaukee M18 item to your cart and the free item will automatically be added. Limit 2 free items per customer. Valid on select items, qualifying items are identified on the product page. Offer valid until 11:59pm ET on April 30, 2019 or while supplies last. No adjustments to previous purchases. Subject to change without notice. I was very excited to finally get this new saw, but after using I noticed that the blade had a slight "woble". I changed the blade with 3 other brands, 9.0 battery, 12.0 battery, 6.0 battery, making sure it was installed correctly. Nothing changed. Terrible for fine trim work. I returned the saw for a new one and same thing. Also fact that Milwaukee doesn't make a 12" cordless & corded model like DeWalt is a huge downfall. I am and always will be a Milwaukee fan and feel terrible to write a bad review as every other product has been top notch! Sold my old corded saw (competetor brand known for being top-of-the line, and it was) because I needed the versatility and portability of battery power. I use this saw on the job site for everything from cutting framing lumber to interior moulding. It's fantastic! Very smooth action when setting miters and bevels and the cutting action is very clean and smooth. I like the shadow cut line feature. 9.0 amp battery lasts forever. I've made thousands of cuts already and it has performed flawlessly. So far it's better than what I had considered to be the best saw in the industry. Time will tell if it holds up like my old one did. I work for an aviation manufacturing company in their overhaul division. We want to start making specialized tool carts, kit carts, ETC out of HDPE plastic and Extruded aluminum. After a few failed attempts with "other tools" we purchased the M18 FUEL™ Dual Bevel Sliding Compound Miter Saw Kit and have not looked back! Combined with a aluminum rated blade, it works beautifully on both materials and the charge seems to last forever! With this saw we are able to produce clean cuts and awesome results that both the company's exec. 's as well as our customers are impressed with. Consider me a loyal fan of this product! I bought a Ryobi Sliding saw first, because I wanted a cordless saw with some power, and for the weekend project ahead, and no one nearby had the Milwaukee on hand. I brought Ryobi saw home, and squared it, and my disappointment could not be understated. I did not even make a cut with it. I thought about it for a few days, and decided it was being returned. I searched again for a Milwaukee which was now in stock at one store. I ordered this online for pickup. For $200 extra, I found the Milwaukee to be the better value by far! Such a smart and well executed design. Detents are great. Adjustment is easy, and smooth, overriding detents is also just as easy. It got me spoiled to the point where I'm thinking the fence could also have quick adjustments, rather than thumb screws. Lol. I could not be happier with this saw. The M18 system is great. Thank you Milwaukee. This tool made me feel like absolutely made the right choice. Every cuts has been, "Yeah baby!". This is a very well made saw!!! No downside to it at all. this saw is quiet compared to my ridged compound saw. I liked the shadow cast on wood from led light instead of lasers. Cut boards and trim easy and I didn't run out of power after 40 cuts or more. Price was more than I wanted to pay but got free tool that made it acceptable. light weight compact and gets the job done! use it for trim work and framing houses, love how its light weight easy to use, and last me all day with one battery. Love the blade line shadow And very powerful. I also like how it has the ability to be just a miter saw. Second battery a necessity !! What is the difference between the 2734-21 and the 2734-29 models of this Milwaukee saw? BEST ANSWER: Milwaukee does not offer an 2734-29. When will they start shipping ? Can I use my dewalt stand? BEST ANSWER: Model 2734-21HD should accept the stand. where i can find the manual as i purchased recondition? BEST ANSWER: The manual can be downloaded via the link below. Does this saw cut metal? BEST ANSWER: Aluminum with the blade back words or purcgase a metal blade. Why isn't the motor inline like the 12 inch saw? BEST ANSWER: It's direct drive, there is no belt. That gets the motor out of the way. What is the weight of the saw? BEST ANSWER: According to the manufacturer's website this weighs 62 lbs.